Efforts to stop hate crimes and bullying within the Sikh community were discussed Sunday in northwest suburban Palatine. 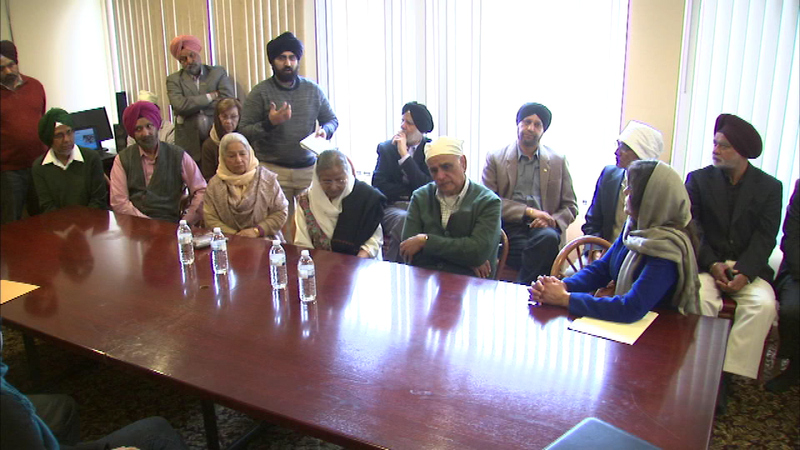 PALATINE, Ill. (WLS) -- Efforts to stop hate crimes and bullying within the Sikh community were discussed Sunday in northwest suburban Palatine. Cook County State's Attorney Anita Alvarez addressed the congregation of Sikh Gurdwara Community Center. Alvarez says her office is working to educate the community and local law enforcement offices about the Sikh community, which is often plagued by hate crimes. "We've seen an increase of hate crimes in Europe and so that makes us kind of have a concern as to what is going to happen here," she said. "The Sihks suffered with the shooting in up in Wisconsin several years ago, so we're always worried that something like that may happened here so we want to be ready for it." The Sikh Religious Society in Palatine gave a presentation to educate the public on the Sikh community, which has recently experienced an increase in hate crimes and bullying.